The best anesthesia for tubal reversal surgery is general anesthesia. With our experienced staff, tubal reversal under general anesthesia is safe, has minimal side effects, and has lower complications during outpatient reversal surgery than either epidural or spinal anesthesia. We have performed several thousand sterilization outpatient reversal surgeries under general anesthesia since 2001 and have not had any major anesthetic complications. General anesthesia for reversal avoids epidural or spinal complications which require overnight hospital stays and increase the cost of reversal surgery. Our tubal reversal anesthesia is designed to provide patients a safe surgical experience with minimal side effects. Tubal reversal anesthesia: Can it be an epidural or spinal? We do not perform tubal reversal anesthesia with epidural or spinal anesthesia. In our experience, these forms of anesthesia have a higher incidence of side effects and are not suitable to outpatient surgery. Tubal reversal and epidurals: Can tubal reversal be done with an epidural? Tubal reversal and spinal: Can tubal reversal be done with a spinal? The first phase of tubal reversal anesthesia is receiving pre-induction medications through an intravenous catheter (IV). These medications act quickly, reduce anxiety, decrease pain, cause amnesia, and relax you for the second phase of tubal reversal anesthesia. Laryngeal mask is the preferred way to provide general anesthesia during reversal at A Personal Choice. The second phase of tubal reversal anesthesia is insertion of a laryngeal mask and receiving inhalation anesthetic (general anesthetic gas). The general anesthetic gas will cause you to enter a deeper state of sleep than can be obtained during the first phase. To achieve this deeper state of sleep requires the anesthesia gas be delivered directly to the breathing passages using a breathing tube. We prefer to use a laryngeal mask as our breathing tube of choice. The laryngeal mask is a soft silicone ‘cup’ that sits gently in the back of the throat and above the vocal cords during surgery. Many facilities provide general anesthesia with an endotracheal tube rather than a laryngeal mask. An endotracheal tube is a long tube inserted into the mouth, down the back of the throat, beyond the vocal cords, and into the trachea (the entryway into the lung). Endotracheal tube is typically used for general anesthesia and is associated with more airway complications than laryngeal mask. Although endotracheal tubes are safe, we have discovered these tubes cause more airway irritation (hoarse voice and sore throat) and more post-operative nausea. We prefer not using endotracheal tubes because of these side effects. We use laryngeal masks as our preferred type of tube to administer general anesthesia. The third phase of tubal reversal anesthesia involves administering medications to help patients recover better after surgery is completed. These medications are administered to patients while they are under general anesthesia. During the third phase, the surgeon administers long acting anesthetic (numbing medication) around the area of the surgical incision and the anesthesia staff administers long acting medication in the IV further reduce pain after surgery and also to reduce the chance of nausea and vomiting after surgery. We devote a significant amount of time to ensuring patients have safe and effective anesthesia during surgery. Our anesthesia is provided by skilled and attentive staff who constantly monitor patients from their arrival into the pre-operative area until they are discharged from our surgical facility. General anesthesia has lower complications during outpatient tubal reversal than regional anesthesia. General anesthesia is safe for tubal reversal surgery and helps keeps tubal reversal surgery affordable by avoiding overnight hospitalization which is typically required after epidural or spinal anesthesia. Many of our patients have asthma…it should not be a major problem as long as your asthma is not severe. People with severe asthma need breathing treatments often and have a history of multiple hospitalizations for asthma. Tubal reversal is performed under general anesthesia. The cost for tubal reversal is $6400 but after April 1st the cost will increase to $6900. If your office does payment plans, how much you would have to put down before the surgery and payments after the surgery? Surgery has to be paid in full before it can be scheduled. Call us at (919) 968-4656 8am to 5pm eastern standard time and we would be happy to speak with you. will it be majorsurgery, how long will it take? and healed? 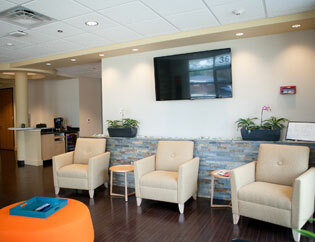 The surgery at our center is outpatient. It requires you stay in Raleigh for 3 days and 2 nights. Most patients can return to a desk job in 7 to 10 days. If your job requires heaving lifting then you may need to take 4 weeks off from work.